Azerbaijan and Japan have started negotiations on an investment agreement, Deputy Press Secretary of the Japanese Foreign Ministry Mitsuko Shino said Sept. 5 at a briefing in Baku. She said the agreement will enable Japanese companies to invest more in Azerbaijan and make it possible for Azerbaijani companies to invest more in Japan. Shino added that creation of a working group is envisaged to implement the agreement. 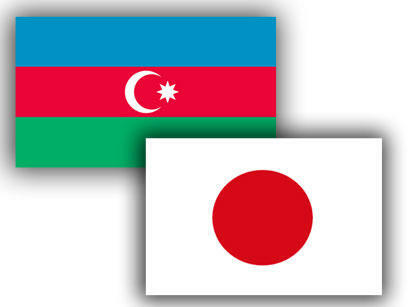 So far, Japan has invested about $7 billion in the Azerbaijani economy. Shino further told about the results and objectives of the visit of Japanese Foreign Minister Taro Kono to Azerbaijan. This is Kono’s first visit as Japanese foreign minister to Azerbaijan (he first visited Azerbaijan in 1999 as a Member of the House of Representatives) and the visit's goal is to intensify relations with the countries of the Caucasus, she said. Stability in the Caucasus means stability in the world, Shino noted, adding that Japan supports the development of the region. Therefore, Tokyo launched the Caucasus Initiative, she said. This program includes two areas - supporting the development of human resources and maintaining efforts to increase the attractiveness of the region for Japanese companies, Shino noted, adding that the specific components for various countries are different. Shino noted that unlike Azerbaijan, Japan has very limited natural resources. Japan has only human resources and this is the main resource for sustainable development of the country, she said. Shino noted that the two countries can cooperate on environmental issues as well as in the expansion of opportunities in logistics. The second direction in the program is the strengthening of contacts between the two countries in such sectors as tourism and business, she noted. Japan is also eyeing to simplify issuing the multiple-entry visas for the countries of the region, she added.